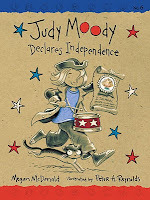 It was with great sadness that I read this book for it was the 10th and final current Judy Moody book for me to read. The good news is that I can read them again and this time I will likely do so in chronological order. 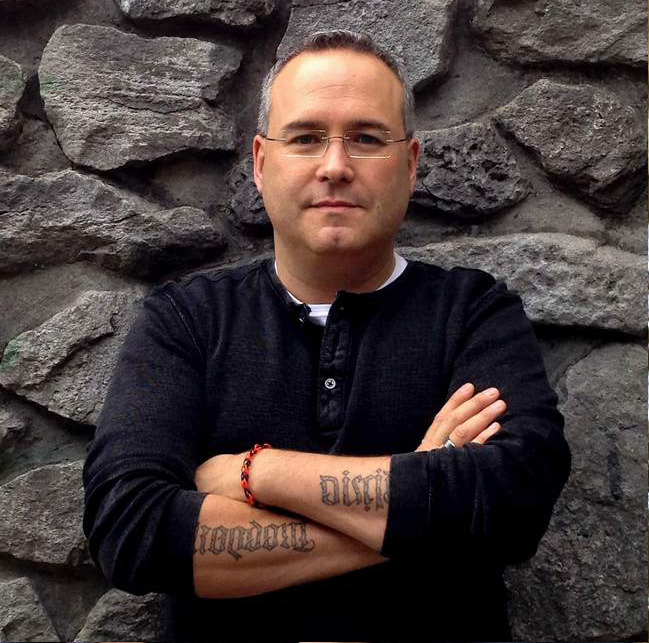 The first time through, I read them randomly and each book is strong enough to stand alone. 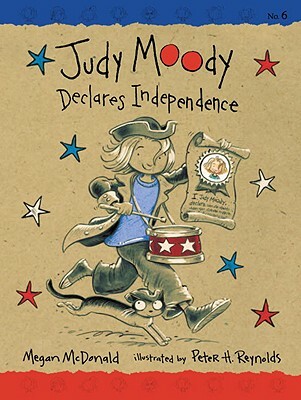 Judy Moody and her brother Stink are among my all-time favorite characters in children's books. I rank them up there with the Pevensie children in the Narnia books and with The Austin and Murry children in Madeleine L'Engle's books. These are characters I know I will visit again and again and will share with my children and if lucky, eventually my grandchildren. The Moodys are an amazing family as are their groups of close friends. 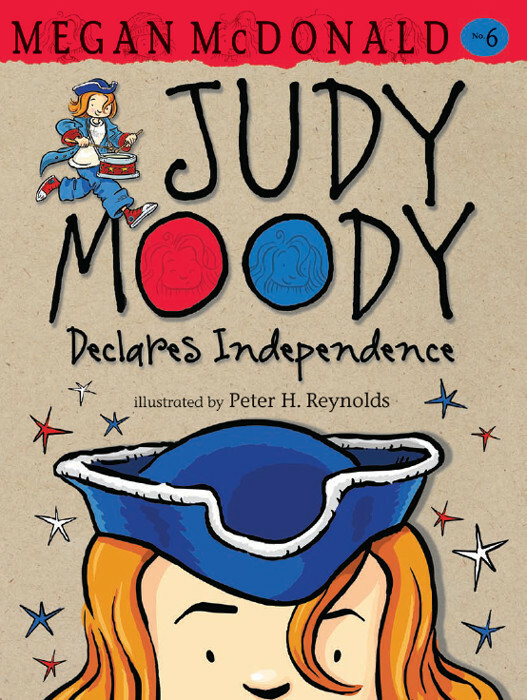 This book begins with Judy Moody and her family on a trip to Boston to visit some historical sites. Judy meets a girl from England and they become friends and commit to being pen pals. 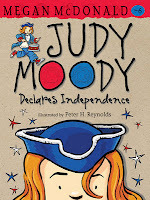 But Judy as usual ends up in a mood, and with all her historical perspective she decides to declare independence herself. With a trip to historic sites, a graveyard, a sailing ship, a bath tub tea party and water fight, this story is full of adventure and fun for the whole family. It is a great book and I can only hope that we get many more books by McDonald and Reynolds in the Moody series.